24 May 2016. Brussels. 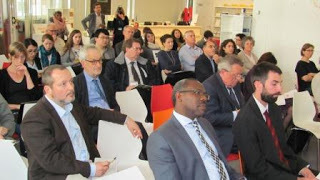 DEVCO InfoPoint. Farmers’ organisations make agro-food chains work. 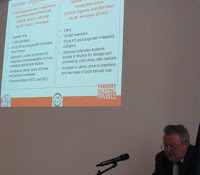 Recent experiences of cooperation between farmers’ organisations. 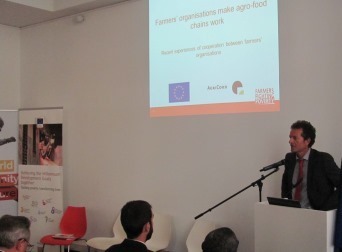 AgriCord is an initiative of farmers’ organisations and their cooperative businesses to support their colleagues in developing countries by mobilising funds and expertise from organised farmers. 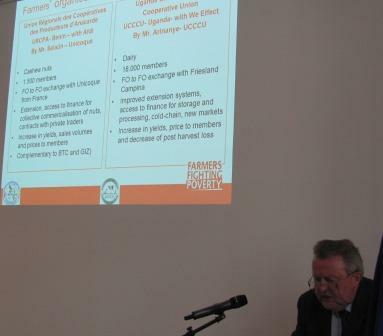 Representatives of farmers’ organisations explained the evolution of their position in specific agro – food chains and the impact on incomes of their members (dairy value chain in Uganda by UCCCU, cashew nut value chain in Benin by URCPA). How serious is the issue of aflatoxin contamination? Why is the collaboration between research for development and farmer organisations important?